IMPORTANT Please note that smoking is not permitted on NSW National Parks sites. Rubbish bins are not provided - please ensure you take all rubbish with you. Penalties may apply for non-compliance. Service: Timetables not easy to navigate which makes visiting different sites difficult. Not really getting good value for the money you pay. Got to Circular Quay and no more ferries so had to walk 35 minutes back to Darling Harbour. A bit disappointing. Product: Not good value for money, ferry timetables hard to navigate. Product: Another awesome service and great ferries. Service: Love it!! Funny and bubbly environment. The captain was soooo cool and friendly staff!! The only downside of it is where you buy your tickets, there is a lack of customer service at their kiosk at the pier. Not only us but a number of people were confused with their hop on and hop off system. Not easy to figure out on your own as this is not clockwise or anticlowise system and we didnt manage to do the sights but one which was a pity. We only got to the zoo because the guy at the kiosk said there was going to be the easiest option for us as we wouldnt get to do all sights or hald of it in one day anyway. We all found very confusing and ended up not making the most of if as planned which felt like we got ripped off. We would highly recommend an improvement in their system to facilitate to their clients and also improve in their customer service at the kiosk. The best part and great experience was onboard! Product: Love it!! Funny and bubbly environment. The captain was soooo cool and friendly staff!! Thank you for the review of your experience of your Cruise. As you know we do strive to deliver world best practice customer service from booking all the way through to the end product – so your review for this is very disappointing to receive. Please be assured your feedback has been forwarded to our reservations manager for review. It's very confusing at pier 26. It's not clearly signed which wharf the boat is coming to. There are several wharfs there, all labelled Pier 26. The running comentary was terrific. Thank you for the review of your experience of your Cruise. We have a map which shows our Darling Harbour Wharf on our website. Our reservations staff at Pier 26 are also always happy to assist if customers have any inquiries. Service: The HOHO service should run over a 24hr period and not the calendar days. Staff were very friendly, though it was hard to hear commentary of you were outside. Not enough services to some places to make it worthwhile using as a HOHO and I wish I had realised that before buying tickets for 2 days. Unfortunately, it was not value for money. Product: Lack of services and cost. needs to run for 24hrs consecutively not per day to make it worthwhile and to catch the tourist dollar. Lots of people getting off cruise ships and are only here for 24hrs before flying out. Service: We had a great time. Funny crew, nice trips to zoo and Manly. Very helpful and friendly staff at the kiosk. The only problem we had is last ferry e.g. from Manly was leaving at 15.30. Quite early. We decided to stay longer and purchase a ticket for an independent, later public ferry. Nevertheless, I'd choose Captain Cook again. Product: We had a great time. Funny crew, nice trips to zoo and Manly. Very helpful and friendly staff at the kiosk. The only problem we had is last ferry e.g. from Manly was leaving at 15.30. Quite early. We decided to stay longer and purchase a ticket for an independent, later public ferry. Nevertheless, I'd choose Captain Cook again. We stayed in Watson’s Bay and found Captain Cook cruises offered the best timetable with early and late ferries that we’re not available on the public ferry service. Great value when combined with entry to the Zoo. Crew were exceptionally helpful and courteous. Anton (I think that was the gentleman’s name) was very helpful and entertaining to all on board. Really appeared that he enjoyed helping and making our trip/s enjoyable. Service: Great service. Bought my tickets on line whilst on holiday in Sydney. Unable to print. Called into Circular Quay to get help with tickets. The guy that served me was really helpful, even with so much background noise happening. The ferry trip was interesting, loved the commentary we received. Product: The ferry trip was good. Didn't get to really do the hop on ,hop off bit as my travelling companion became ill which curtailed our sight seeing. Service: Disappointed. Lack of communication, inadequate signage / maps. Trip was cancelled but no one bothered to notify us. Product: Relatively easy to pay but was given the impression that it included Taronga Zoo admission...but no. Again poor communication. Thank you for the review of your experience of your Cruise. As any other ferry operator in the harbour, we unfortunately depend on traffic and weather conditions to operate which can be affected by unforeseen circumstances. For that reason, we update our timetable daily to try to be as reliable as we can. We do apologise sincerely for the inconvenience. We also encourage our customers to contact our reservations team if they have any questions or inquiries regarding any information prior to their cruise. As you know we value customer feedback, therefore your comments were forwarded to the relevant managers on that matter. It was a great tour with a reasonable price. It has many stops and it is a best way to avoid the traffic of the city and enjoy the spectacular view. I purchsed the two days ticket + zoo ticket and it really worth it. My only suggestion is adding time to the tickets, so every passenger can use the best out of it. Hop on Hop off bus in US was that way. This way, passengers can have 48 hours pass independent of the time they buy the ticket. Loved being able to get to so many locations in one day. Service: Ferry's were great, well laid out and good coverage around the harbour. One of the longer trips even had cheap beer, better still! The timetable worked pretty well although we missed shark island as it was closed, not sure why. The big bus was good as well, really good coverage of the city. Good deal getting 2 days ferry and 1 day bus. Product: Good value for the service. Service: Many good things about the cruise hop on hop off including great staff and commentary. However, the routing was a bit dodgy as once you got to Manly it was difficult to Circular Quay, especially in the late afternoon. Not sure how that may be corrected but seems odd. Product: The crew and accommodations were quite nice and especially the commentary. However the schedule was quite odd as you get to Manly and then in the late afternoon you can’t easily get back to Circular Quay. Not sure how you rectify that issue but make sure you understand the schedules. Thank you for the review of your experience of your Cruise. We display our cruise routes on our website for all our cruises to enable customers the opportunity to know where they will be cruising and what to expect. We unfortunately depend on traffic for our ferry times, however please be assured our cruise scheduling is optimised for the convenience of all our passengers. Service: The trips were generally on time and the commentary was very entertaining and educational. On one trip, the water was a bit rough, and the boat was running a bit late. They kindly radioed ahead to our connecting boat, and we arrived at our destination on time! Product: A very nice zoo, and worth a lot of time to explore. Service: Cruise not running according to schedule. The cruise I waited for didn't show up and I had to take a taxi back to town. I sent a complaint and question email and got no response. Thank you for the review of your experience of your Cruise. Our cruise times are listed on our website for complete transparency for our customers and we follow this as closely as possible. We always encourage customers to contact our reservations regarding any inquiries they may have, as it allows us to provide updates or information regarding the cruise. As any other ferry operator in the harbour, we unfortunately depend on traffic and weather conditions to operate which can be affected by unforeseen circumstances. We do apologise sincerely for the inconvenience. As you know we value customer feedback, therefore your comments were forwarded to the relevant managers on that matter. Website and timetables were misleading. Didnt use our $100 tickets. No refund. Disappointing. Thank you for the review of your experience of your Cruise. Our cruise times and routes are listed on our website for complete transparency for our customers and we follow this as closely as possible. The hop-on hop-off ferry works very well. 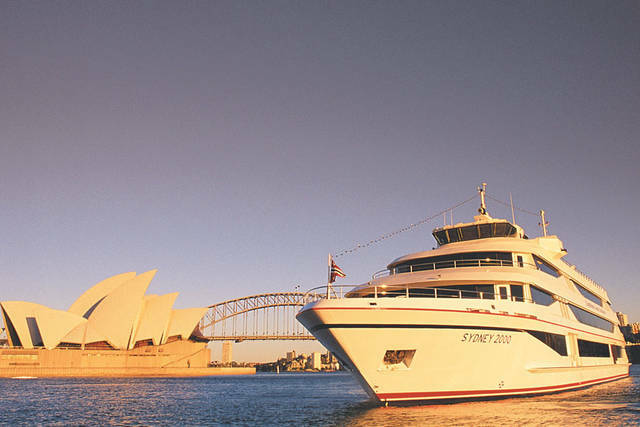 We had 2 days to explore Sydney Harbor at our leisure and with tremendous flexibility. Good value for the money. Amazing view. Great customer service. My sister left her bag on the dock, came back hours later and a staff managed to help her find it. Service: Ideal para quien esta en sidney sin automóvil, adquirimos el combo de 2 días, uno lo usamos para ir a manly y otro al zoo, muy puntuales y ordenados. Se podía aprovechar para conocer otros lugares pero no nos daba el día. Service: CCC service was excellent all ferries on time for our family trip to Taronga Zoo. Then the next day hop on hop off ferry to Manly was an enjoyable trip. Product: Easy to purchase on line. Service: Limited service, made it difficult to fit all destinations in. Otherwise generally good service. Product: Good service, some waiting times a little long but always got a seat and routes interesting as was the commentary. Service: The cruises kept to time. The commentary was good. The staff was friendly. Service: Enjoyed traveling around Sydney on Captain Cook ferries. Staff was very helpful. It was nice to have Free WIFI on the boats. Product: Got right back to me via Facebook message to answer my questions. Last ferry from Taronga Zoo did not show up 20 minutes past schedule, and people took the last public ferry instead. We were told that our original ferry did arrived much later. Everyone at that time thought the ferry was not coming anymore. Delays happen but there should be a way of updating the customers so they won't be left wondering. Otherwise, the ferry service is quite good, punctual at other times and very clean. Service: Love the destinations of the hop on hop off cruises of Captain Cook 😋 very accommodating staff and crew. Thank you for the very nice experience and excellent service...highly recommended!!! Product: Great value for your money...highly recommended!!! Service: Excellent, friendly and informative service. Product: Great value for money and always on time. Thank you for the review of your experience of your Cruise. We always encourage our customers to visit our website to view their selected service, as we try to be as transparent as possible regarding all pricing. Prices for all our ferry services are located on our website, as well as Opalpay accepted services and terms and conditions. Thank you for the review of your experience of your Cruise. We always encourage guests to read our website before their journey to see where they will travel to and from, or to contact our reservations team if they have any enquiries or difficulties. We apologise for the inconvenience. Service: The ferries were on time. The commentary durin the trips were informative & entertaining. Service: Good pricing and convenient service, however some pick up times were inaccurate. The biggest issue was that our return from the zoo to darling harbour did not actually dock in darling harbour. The walk was an extra 15 minutes in extreme heat, which was a bit difficult for my small children. Thank you for the review of your experience of your Cruise. As any other ferry operator in the harbour, we unfortunately depend on traffic and weather conditions to operate which can be affected by unforeseen circumstances. For that reason, we update our timetable daily to try to be as reliable as we can. We do apologise sincerely for the inconvenience. As you know we value customer feedback, therefore your comments were forwarded to the relevant managers on that matter. Service: Nice and relaxing cruise. Really informative commentary and guides. Well fitted out boats as well. Product: Awesome value to include the zoo ticket with the cruise. Service: We purchased a hop on hop off ticket with Toronga zoo entry for our family of four. I thought it was excellent value for money. We went to the zoo on the first day of our ticket and then on the second day we cruised around all the stops on the harbour and went to Manly - we loved it. I really liked the fact that there was a host who told us little facts about Sydney and the harbour - I think this sets it apart from the other ferry services - it was great. The only slightly adverse comment I would make is that it would be better if there were a few more ferries in service because the waiting times were sometimes a bit long compared to the other ferry services. Thank you for the review of your experience of your Cruise. Please be assured that our ferries never exceed the maximum passenger limit. Safety is always paramount when operating all our vessels. We endeavour to meet and surpass safety standards operating in the harbour, in all aspects of our company. Service: Very good. Always on time and very helpful staff who worked really hard. Everything goes well. Getting the tickets, hop on the cruise, and services are great and cheerful. It was a fun experience. Thank you for the great services. Service: It is mainly good experience. The only thing is i hope it runs later on the day. Product: I had to finish the day early because the last one back to circus quay was 4:30. They don’t keep to a schedule so it’s random when you show up vs when a boat will leave. They also incorrectly announced a ride which meant that we ended up in the wrong place and took a ferry from a different operator to where we needed to go. They refused to give a refund despite admitting their error. Finally when you book in advance you still have to go wait in an impossibly long line to get a physical ticket. Total waste of time. Thank you for the review of your experience of your Cruise. As any other ferry operator in the harbour, we unfortunately depend on traffic and weather conditions to operate which can be affected by unforeseen circumstances. For that reason, we update our timetable daily to try to be as reliable as we can. We do apologise sincerely for the inconvenience. As you know we value customer feedback, therefore your comments were forwarded to the relevant managers on that matter. For the majority of our ferry services, tickets can be purchased or OpalCards used whilst onboard. Service: Ferry drivers and staff got stops incorrect, infrequent ferry services didn’t match for a useful tourist itinerary. Couldn’t get to Manly from Taronga Zoo in the afternoon, ferry left 2 mins early from Manly so we got stuck in thunderstorm at wharf. Had to go on another ferry service at additional cost. No commentary on smaller boats which was disappointing. Sydney Tower Eye was disappointing, couldn’t do Skywalk or outdoor Observation Deck which we didn’t realise. Overall it was a bit of a waste of money for us as we didn’t get to use the hop-on/hop-off service as much as we would have liked and it would have been easier, more practical and cheaper for us to use Opal Card public transport. Product: Expensive for what you actually can use in the given time. Thank you for the review of your experience of your Cruise. As any other ferry operator in the harbour, we unfortunately depend on traffic and weather conditions to operate which can be affected by unforeseen circumstances. For that reason, we update our timetable daily to try to be as reliable as we can. We do apologise sincerely for the inconvenience. 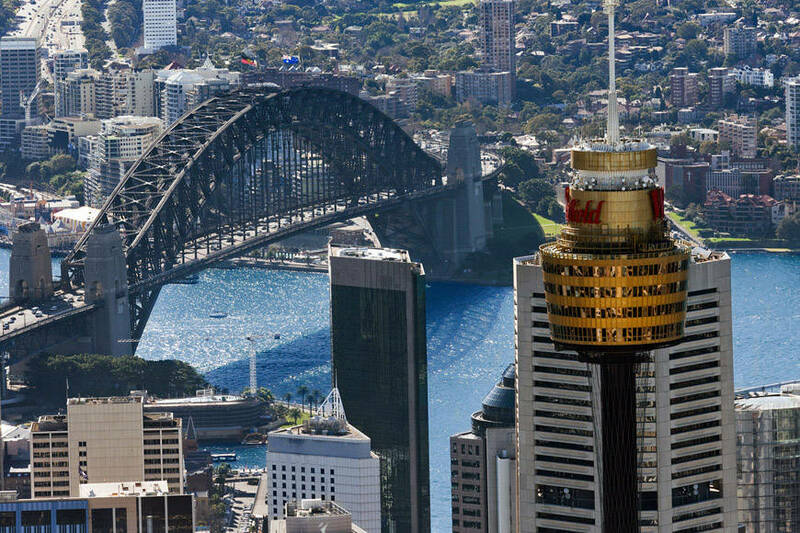 Unfortunately, the Sydney Tower Eye is completely separate from us and we do not have any control over any decisions with which they make. Service: Everything was great from the staff to the food to the spectacular views! Product: Uneventful except that we were told we could buy the tickets to Taronga Zoo on the boat (the earliest one of the day which left before your office was open). It caused a bit of trouble but the staff accomodated us. Service: Boats were clean, frequent, took us to the places we wanted to go, everything we wanted. Product: Great experience at the zoo, and the other places we went. Really enjoyed the tour, the staff were so friendly. I went on a really windy day, there professionalism towards my safety while still having fun was very good. Thanks to the team and the Captain, see you again soon. Service: I would certainly reccomend as it is much cheaper than catching a taxi or Uber everywhere, plus you are able to see a more scenic route of Sydney. Product: Definitely worth the extra money. Secured transport to and from the zoo, and it’s much more affordable to purchase the two in one ticket. It was a fine experience. I was a bit confused as to how hop on hop off service worked and when I booked online I thought I got a second day included but my ticket said nothing of the sort. I enjoyed the guided tour and the hop on hop off system.. A clearer timetable would be easier for tourists though. Great package deal! Nice being able to use the Ferries over two days and the bus on the third day. Service: It is very convenient and easy to access the places of interest. please consider having the option of customers selecting the dates they would like to do the hop on hop off schedule instead of 2 consecutive days. Product: for overseas tourist, please consider the option of booking online and paying cash upon collection of tickets. Great on time and efficient! Friendly & helpful getting our pram on & off the boat. The only thing that stopped 5 stars was the boats weren't always on time and we didn't know if we'd missed it or it was running late - later we were told it was due to 'traffic jams' on the harbour which was fine but at the time you are waiting you don't know this. Service: Thoroughly enjoyed my experience on captain cook harbour ships. The guides I experienced onboard were very knowledgeable. Service: the staff we met were kind and accommodating and very nice. Product: it has been very fuss free having a ticket that gets us wherever we chose to go for 2 days..
Service: Schedule need to be simpler to be easy to follow. Few delays on multiple occasions. Product: Good value an excellent way to see Sydney! Thank you for your review of your Hop On Hop Off Cruise. Our cruise times are listed on our website for complete transparency for our customers and we follow this as closely as possible. We apologise if you felt this wasn’t the case on this occasion. Very easy to use. Crew was very helpful. The zoo addition on the offer garnered my business. Without it, would have headed in another direction from the cost/value side. Service: Smooth and enjoyable ride to Taronga! Their Whale watching cruise was fun with good commentary too! Product: Would be great if the price could be lower, since we only used it for a to and fro trip to Taronga zoo. But if fully utilized, the price is worth it. Service: Very nice crew - all there to help in every way possible and make it a fun day out on the reef! Product: Convenient way to see the city with commentary. Wish there were buses that went the opposite way so that if you hop off you can better choose what direction you want to continue on. Easy to book online and coverage of Harbour extensive. Service: Would buy from Captain Cook Cruises again as service both at time of purchase and when carrying out the activity. Product: The hop on, hop off service was very good, some great sights to see and interesting facts learned. Whilst the zoo trip was also good it was not quite as impressive as it’s billing suggested. Overall though a very enjoyable package. Service: Boat staff very polite and helpful. I found the timetable confusing. It would be great if the ferry went to all the places in a circular pattern so you could more easily get to all the places. The tickets are over priced. We were lucky about getting children for free otherwise way to high. Product: I purchased ticket online but then when I got the ferry we had to go back to the office and exchange for another type of ticket. This should not be necessary especially since the ferry service starts prior to office opening or you could be starting at other points on the harbour. Thank you for your review of your Hop On Hop Off Cruise. We display our cruise routes on our website for all our cruises to enable customers the opportunity to know where they will be cruising and what to expect. We believe our pricing to be equal to any transportation company on the harbour and is reflective of the quality and reliability with which customers receive. Customers have the option of purchasing tickets online as well purchasing at a ticketing booth and onboard the vessels, including the use of OpalPay. Friendly Staff on all ferries used! Product: The zoo was highly overrated. The only unique thing about it was the view. Excellent service - first from the woman in the Darling Harbour Office; she was so very helpful and pleasant; she even helped us manouevre my travel mobility scooter on board! Then the staff on the boats - they made sure we (and my scooter) got safely on and off the boat each time, and gave us advice for the zoo. Booking was easy from their website thought it was odd that they still require a printed confirmation - not really friendly if you’re traveling and without a printer. Entering the zoo, cable car and ferry was fuss free. Our pickup from zoo to Circular Quay was about 15minutes late. Please note on schedule because if you miss the ferry you might need to wait up to an hour. Service: Onboard service was great! The commentators were superb, knowledgeable and entertaining. A pity didn't get his name. He sings and he offers to help take picture for everyone. One thing to highlight is the service at the counter at Darling Harbour. The lady could be a little more helpful in providing information. Went on Fri to collect our tickets but told her would only go to the zoo the next day. She gave us a timetable for Mon-Fri which I didnt realise till Sat when I waited for 9.40am ferry which only came at 10am. Thank you for your review of your Hop On Hop Off Ferry. Our cruise offers live, personalised commentary providing insights from our highly experienced commentator. As you’re aware, finding the right balance between providing information, humour and interactions can be difficult as each customer has tastes and preferences, so we’re glad you enjoyed this aspect of your cruise. We can assure you that our staff are trained to provide our customers devoted and efficient service. Please be assured your concerns have been forwarded to our hospitality manager. Thank you for your review of your Captain Cook Cruises experience. Our cruise times are listed on our website for complete transparency for our customers and we follow this as closely as possible. As you know we do strive to deliver world best practice customer service from booking all the way through to the end product – so your review for this is very satisfying to receive. Your comments are very much appreciated by all our hospitality and catering staff and a copy of your email has been forwarded onto their department managers. We are sure they will value the positive feedback too. Service: Fantastic experience. The staff were friendly and professional, the ride comfortable and entertaining and the value for the money was excellent. Would highly recommend them. We used them several times to get from harbor to harbor on our trip to Sydney, Australia. Product: Great value for the level of service. Service: Ferries were neat and tidy. Services were on time. The lady giving the commentary from Darling Harbour over to Manly was brilliant. Product: Easy as. Done over the Internet. Collected the ticket at Manly Wharf. Heidi was most helpful. Service: Fabulous afternoon! The whales didn’t let us down! Product: Fabulous time at the zoo! Service: Helpful staff. Comments on the area history was great. Not a regular service but coped. Ok for value I think. Product: Price ok I think. Great it was for two days and why I bought this one as some were only one day which is no good. Service: Fantastic as a non Sydneysider to explore the city and get interesting info. Staff helpful and ship clean and comfortable. Product: Great value entry to the zoo and 2 days of ferries. Service: My family & I had a memorable experience with the Captain Cook Hop-On Hop Off Cruises during our recent visit to Australia. The cruise were punctual and their staff were always serving with a smile. We enjoyed the beautiful scenery that Sydney had to offer through the cruise as well as on land during our stops. Definitely would recommend it to family and friends. Product: My family & I had taken up the 48 hour Hop-on Hop-off cruise which comes with SeaLife tickets. It was an amazing experience for all of us. Definitely a holiday filled with memories. Overall was great, easy online booking and very friendly staff on board. Kids enjoyed the ride as much as we did. only hiccup was twice we were at dock on time but ferry left already. first one we thought might be our watch are abit late. so we waited 45 minutes (suppose 30 minutes according the time table - 15 minutes late) for next ferry. second one we were at circular quay with a clock at the terminal. when we got there same thing happened right on time but ferry was long gone. so my advice is arrive early to avoid miss the ferry. Service: Yes we like them but we feel that the cruise times and locations are a bit confusing. Product: I liked Madame Tussauds but why have a waxwork of Curtis Stone? Much better to have one of Gordon Ramsey. Everyone was really helpfull with information and help. Would absolutely recommend it. Service: Service was excellent, fast and friendly. There was some issues with the Big Bus and Anne from Pier 26 was extremely sufficient in helping us sort out the problem. Product: The harbour cruise was amazing. Sea Life, the zoo and Madame Tussaud's lived up to our expectations. Unfortunately the Big Bus Tour wasted about 5 hours of our last day in Sydney as they didn't want to accept our Captain Cook ticket. Eventually, with a lot of help from Captain Cook staff, the problem was sorted. I would suggest more consistency in this regard, but other than this, everything was fantastic. It was a great way to see the city from the water. And, we were able to spend some time exploring some of the stops. Product: The boat was very late (which I know can’t be helped sometimes). 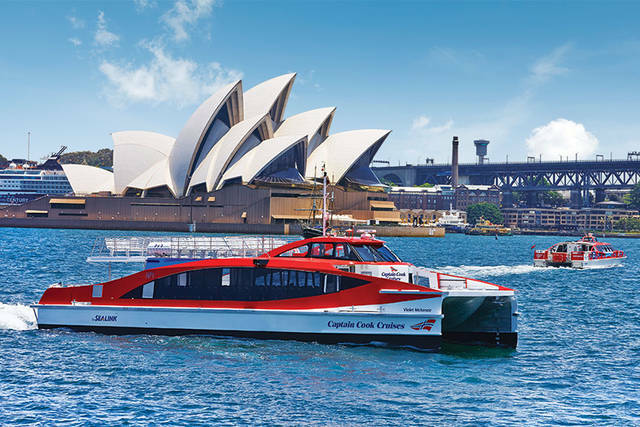 We took the hop-on, hop-off ferry to explore several Sydney sites including the zoo and Manly. I wish there were more options from the zoo in the afternoon towards Manly. The ferries were on time and easy to use. It's a good deal to include the zoo ticket with the ferry. We didn't get any commentary on our last trip from Manly to Barangaroo, so we must have gotten onto a commuting vessel instead of a tourist vessel. Great views at sunset heading back into the city. Service: great service and it was fun catching the ferry to Taronga zoo. Product: good value, found website as a bit hard to find details. Service: Few people knew about the deal or could advise on how best to take advantage of it. Many of the customer service people were unhelpful and impatient. Product: Misleading and not the greatest value for money. Thank you for your review of your Captain Cook Cruise experience. We always strive to provide the best customer service possible and we are disappointed to read that this wasn’t to your standards on this occasion. Please be assured your comments have been forwarded to our hospitality manager for review. Service: Cruise are on time, but not so stroller friendly for the hoho as we need to carry the stroller ourselves in and out the hoho. We were stranded when the ferry didn’t make a scheduled stop. Offered no compensation and no apology. Disappointed! Fantastic boats - fast, clean, on -time and very helpful staff. Service: It was very informative. Service: Thank you Captain Cook Cruises. I and my wife really enjoyed the ferry rides. The reception staff was very helpful in giving directions and also thoughtful by marking times on the timetable to clarify the ferry times for our ferry trips. Service at the reception was fast and queue was short so no long wait time. The same excellence in service was matched by the caring staff on the ferry. The commentaries during the ferry ride were interesting, personal and not repetitive. The ferry ride was very enjoyable with great scenic views. The ferry seemed clean and well maintained from external. The ganger bridge was easy to cross. Very organised service with great options to get to nearby attractions. Comfortable boat and great commentary. Service: I felt bad because of the inequalities of the employees. You had boat captains and some assistants who were fantastic and timely, but other support staff in the office who barely knew what was going on and people putting out the ramps on their cell phones and not listening to the captain's instructions. Anyway, the service worked great for our purposes, just funny to watch a dysfunctional organization with poor employees try to put themselves together. The captain would often look at the paying customers with his head in his hands apologizing. Product: With the discount, it made the ZOO + HOHO a good deal. Thank you for your recent review of our Hop On Hop Off and Taronga Zoo Express Cruise. We can assure you that our staff are trained to provide our customers devoted and efficient service. As you know we do strive to deliver world best practice customer service from booking all the way through to the end product – so your review for this is very disappointing to receive. Please be assured your comments have been forwarded to our hospitality manager for review. Service: The Hop On Hp Off Ferry was the easiest way to see the best sights in Sydney. The only problem we had was that we were trying to catch the last ferry of the night from Circular Quay to Darling Harbour, we asked the captain when we were dropped off to make sure we knew where to be to catch the ferry back. While we waited for the last ferry with 11 other passengers, we watched the ferry come in at a different location and leave without us. 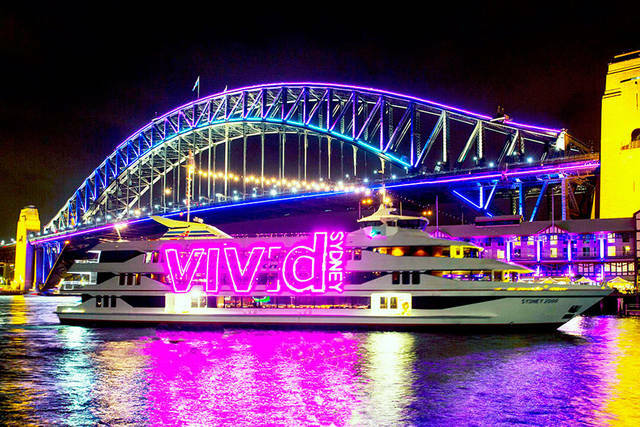 A taxi boat then informed us that during special events like Vivid, the ferries could not stop where we were. Frustrated that we had been stranded on Circular Quay, we walked to the other pier. The last ferry in, that was no longer taking passengers, was nice enough to take us closer to where we were originally getting off. That captain saved the night. 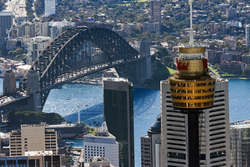 Product: Great price for easy transportation in Sydney! 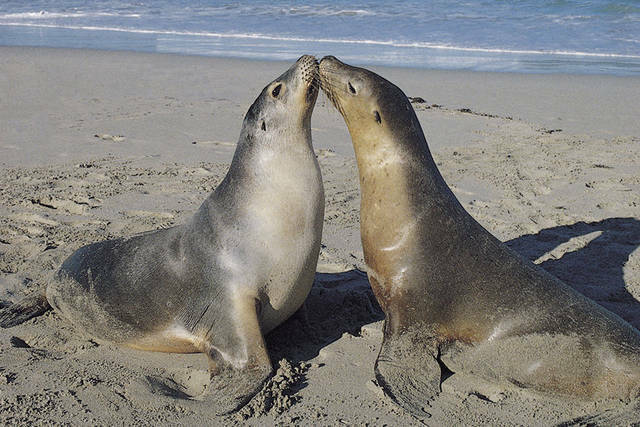 Discover Kangaroo Island, South Australia. Ferries, accommodation and tours.